Dubai police are racing towards bringing new exotic cars to their police force and one might say, that the rich now stand no chance against out-running the cops as the police have better and faster now but, if you go half-way around the world to Italy, more specifically to the Bologna Airport, or Aeroporto di Bologna as its officially called, you’ll find that your aeroplane, while taxiing is following a Lamborghini Aventador. 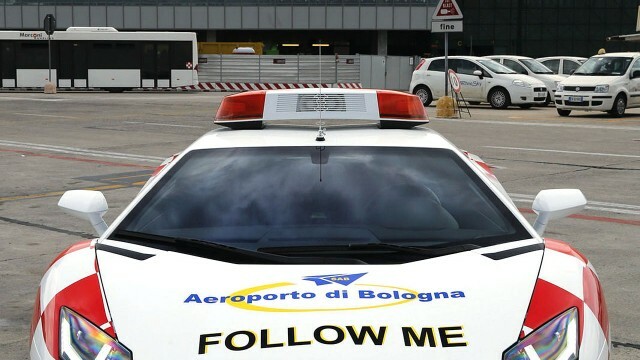 And as with the inductions of expensive hypercars in Dubai police, the addition of an Aventador in the airport’s range of ‘Follow Me’ vehicles, is done for a publicity stunt. 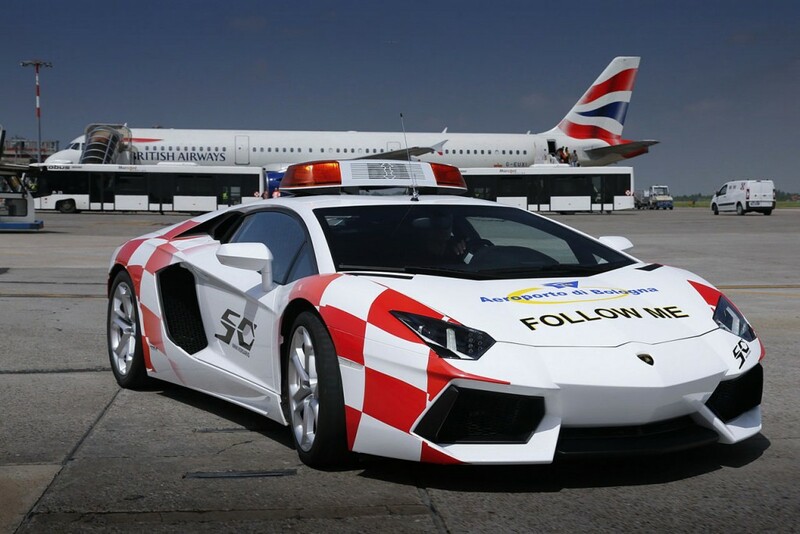 From May 6th to May 19th, the following Lamborghini Aventador will help guide airplane to their terminals and is being done as a publicity stunt for Lamborghini’s ongoing 50h anniversary celebrations. However, Dubai police may need special training for high-speed driving but the airport staff have been trained by Lamborghini’s test driver, Mario Fasanetto, but not for high speeds, but to control the 700hp V12 powered Lamborghini Aventador at very low speeds.